TV Drama [Playful Kiss] Taiwan version and Korean version male lead actor Joseph Cheng and Kim Hyun Joong will be standing on the same stage. The stage that both will be setting foot on, is the 1st round of activity ‘Message to Asia’ concert that will be held on 14 December at Tokyo Dome [Smiles Project] by Japan’s DATV. [Smiles Project] is a charity act in hope to bring smiles and hope for young children in Asia who will be the future leaders, this will help poor children who are staying in Cambodia, Philippines etc. 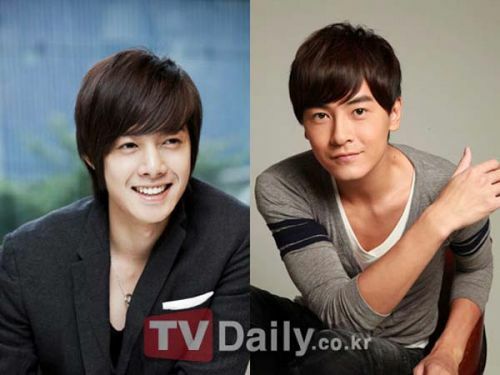 Kim Hyun Joong and Joseph Cheng has been casted as male lead separately in [Playful Kiss], both have shaped their own unique main character which has received lots of love from fans in Asia. The stage battle that both of them will bring about this time has also received lots of attention and anticipation by fans in Asia. Besides Kim Hyun Joong and Joseph Cheng, Bae Yong Jun, Fany, Vaness Wu, Japanese singer GACKT and other Asian singers will light up the stage of Message to Asia Concert together.